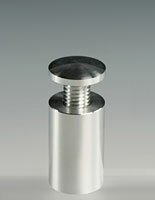 Screw covers provide decoration over screw heads. Stainless steel construction, not plastic. (8) Caps, screws, washers & anchors to mount (2) signs. 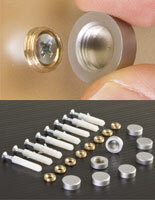 These screw covers ares the perfect low-cost marketing tool with a high impact. Decorative end caps hide unsightly hardware. These plastic screw covers are fastened via washers so that signage stays in place. Unlike competing brands, these fittings have a threading mechanism so once in place the sign won't budge. 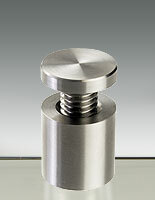 These screw covers, also known as mounting hardware, hold graphics more effectively than other brands with pop-on end caps. Buy these designer support to create a professional and finished office or restaurant environment! When you use these screw covers merchants spend very little, but the returns on their small advertising investment are huge! 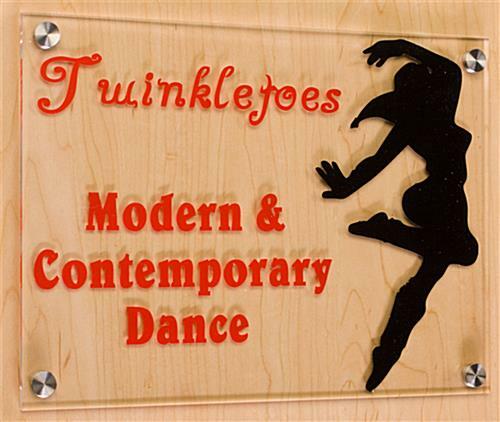 These sign supports, hardware are made of stainless steel that is rust-resistant and always new-looking. 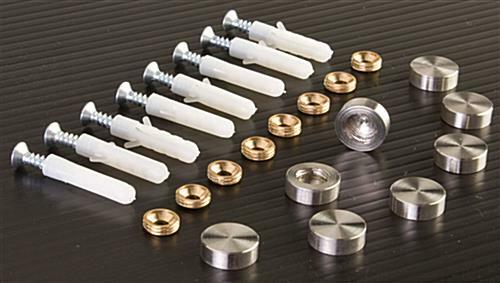 Each of these screw covers, also known as graphics accessories, comes in a kit of eight that provides enough hardware for mounting two signs. Each of these signage fittings is 4/8" diameter for these screw covers. 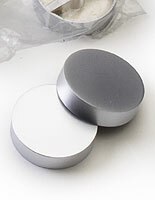 The accessories featured here are 5/8" x 3/16" in diameter. These plastic screw cover kits come with everything. 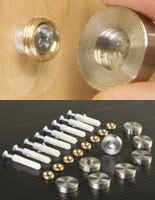 That includes (8) each of the following: screw covers, screws with anchors and threaded washers. 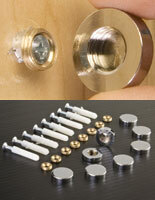 These fittings successfully secure your brand messaging, logo, or selections on a wall or door. When you use a plastic screw cover, wall support, it hides the hardware normal sign supports reveal. The way the caps adhere via washers makes a huge difference! 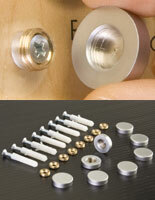 These screw covers that are decorative can be used in any upscale décor, or to elevate the look that is already there. These inexpensive plastic fittings that twist on are tons more reliable than hinged or slip-on caps and mounting hardware. We sell metal hardware at plastic prices! We love this product! It's easy to use and looks great!